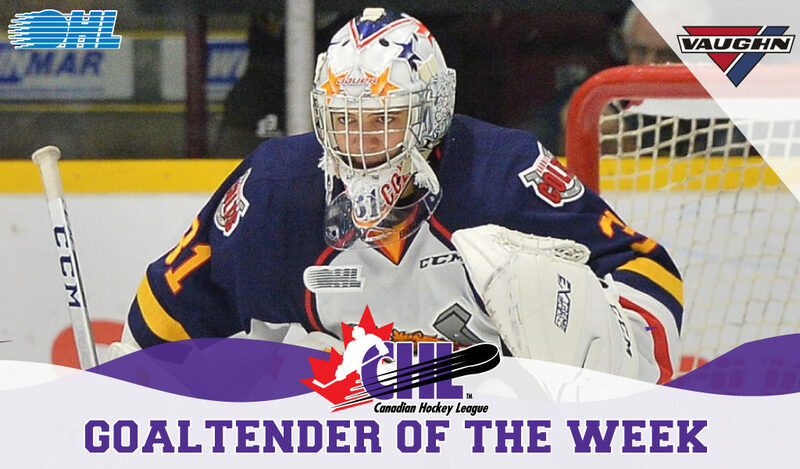 Toronto, ON – The Canadian Hockey League today announced that rookie Jet Greaves of the Barrie Colts is the Vaughn CHL Goaltender of the Week for the regular season week ending February 3 with a 1-0-0-1 record and a goals-against average of 1.45 and save percentage of .971. Greaves claims the honour for the first time this season stopping 100 shots in two games last week in back-to-back 50-save efforts to help the Colts improve to 21-25-2-1 on the season. Against the London Knights on Friday, Greaves turned aside 50 shots, including 21 saves in the opening frame, before being named second star of the eventual 3-2 shootout loss. 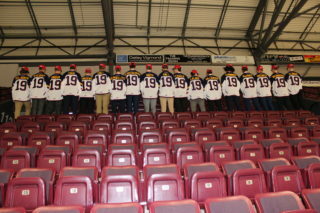 The following night, Greaves received first star honours for his 50 saves in a 3-1 win over the Mississauga Steelheads. 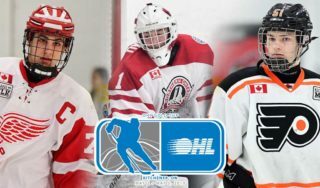 Also considered for the award this week was Tristan Cote-Cazenave of the Victoriaville Tigres who posted a 1-1-0-0 record, stopping a total of 71 shots for a goals-against average of 2.40 and save percentage of .934. In the WHL, Reece Klassen of the Spokane Chiefs went 1-0-0-1 with a shutout victory, stopping 34 shots in total for a goals-against average of 0.71 and save percentage of .971.